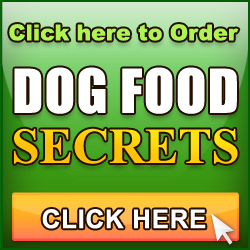 Healthy-K9.com - New Vid: Is Premium & Gourmet Dog Food Better? 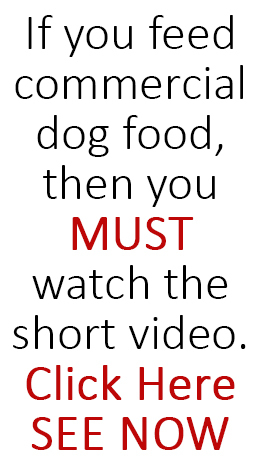 Maybe Not..
Home/Commercial Dog Food, Commercial Dog Food Videos, Dog Videos, Featured/New Vid: Is Premium & Gourmet Dog Food Better? Maybe Not..
Its seems obvious that dog foods labelled as Gourmet, Premium, Super-Premium etc are better than the rest. I applaud your dedication to the natural health of dogs. 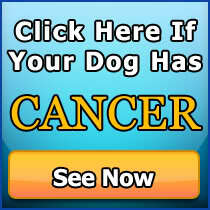 In fact, I did have a dog with cancer and we treated him holistically until he passed. But, I am very confused as to why there are commercial pet food sponsors and links all over the site. Hi Barry, we don’t endorse any brand in exchange for money.. never have, never will. I’ve been offered money to endorse a dog food brand many times but will never compromise the integrity of this site. However, we do run some advertising on here just to pay the bills. Contrary to what some people believe, I barely make enough to cover expenses and during the height of the recession I actually ran at a loss for almost 18months so after holding out as long as I could I had to add advertising just to keep the doors open. We don’t control what ads appear, that is all managed by Google. for sure Leslie, I appreciate that sentiment. I made the decision to be eco-friendly, knowing it would cost us sales, but its a decision I believe in for the sake of the Earth and for my children’s children… I felt as a father it is my responsibility not to damage the Earth if it can be avoided because I believe we don’t inherit the Earth from our ancestors, instead we borrow it from our children. The Gold Pack has about 8 books I think and thats a lot of paper. You could just print the recipes, which is considerably less paper. Andrew you seem to be a very specail person for doing what you do thank you very much for the wonder ful tips you send Aurora and her mother (me)Shes very specail to me and my husband especaily my husband shes daddies girl.so god blessyou and keep the advices comming our way they are great and so are you. Hi, please excuse my ignorance, but how do I get to any of the videos. I’ve clicked on certain words and sentences , but still nothing. Can you please help me? I’ m really interested. By the way, Abbey was the name of the dog we were going to get, but the pups are still too young and I might change my mind and get a boy. So For now, I’m dogless, but not for long. i do appreciate all the tips you are sending via my e-mail. i do look at every one as well as saving them in a file, i am however unemployed and am raising 2 children on my husbands very small pay check. i do have 3 dogs and am concerned about their food, but under the curent circumstances i can not do anything to change the situation. i feed my dogs beniful dog food right now. i am keeping all of your info., so i can purchase your info. when my money situation improves in some way. my dogs are bow, zimm and zann. very large dogs, all between 90 to 110lbs. rhodesian ridgebacks. bow has valley fever and takes meds. for that daily, zann has joint problems and also on meds. for that. will do anita, repsect right back atcha!